"Nigeria needs help. Nigerians have their work cut out for them – to coax this unruly child along the path of useful creative development. We are the parents of Nigeria, not vice versa. A generation will come, if we do our work patiently and well – and given luck – a generation that will call Nigeria father or mother. But not yet." Is it a call to parents to foster among their children a stronger sense of national identity (outside of issues of ethnicity, settler, indigene as I have been exploring in recent posts), or is it actually a call for a different relationship to Nigeria from the outside - the echo of a nostalgia for the "colonial masters" and British protectorate status? 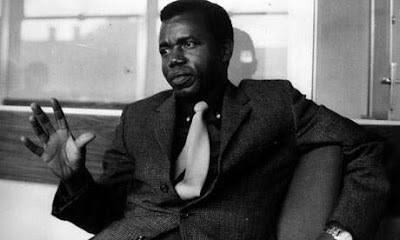 Whichever (and perhaps it is both), Achebe seems still to be wounded, by the civil war and by the force of his own injuries. He cannot see outside of the injustice done to the towns of Igbo people (and who can blame him) and ultimately, he cannot dream of a Nigerian national identity. The beautiful ones are not yet born, I guess. i dont think achebe has any nostalagia for or gives a damn about the days of british colonial rule. Nigeria was not better of then.Most Nigerians were poor then as well. Nigerians need to work hard for their country.